TASUED Extends TP Registration, School Fees Payment Deadline: Tai Solarin University of Education, TASUED teaching practice registration and school fees payment deadline have been extended. 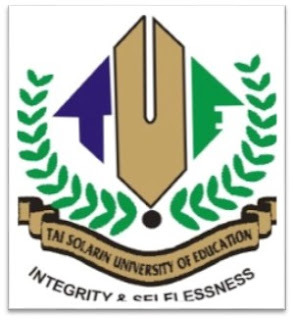 Authority of the Tai Solarin University of Education (TASUED) has, on compassionate ground, extended the deadline for payment of school fees and registration for 2016/2017 Teaching Practice exercise for full-time 400L students. The new deadline is till 9th September, 2016. All students concerned are enjoined to make use of this opportunity.